With a population of 274,000, Medway is the largest urban area within the regeneration and growth area of Thames Gateway. It consists of the towns of Rochester, Chatham, Gillingham and Rainham (collectively ‘the Medway Towns) the large Hoo Peninsula between the Medway and Thames Estuaries, and part of the North Downs. It has a rich built and natural heritage which includes Chatham Dockyard, Rochester Castle and Cathedral and the North Kent Marshes. The decline of traditional industry has left Medway with large brownfield sites by the River Medway and an attendant need for social and physical regeneration. Other challenges are a need for 30,000 new houses up to 2035 and a projected population growth to 325,000. 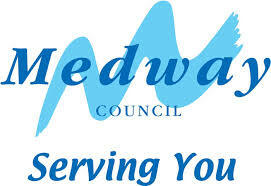 Medway Council is a unitary authority formed from the amalgamation of Rochester and Gillingham Councils in 1998. The authority has ambitious plans to turn its waterfront and urban areas into a city of learning, culture, tourism, and technology fit for the 21st Century. With regeneration gathering pace, high profile developers, architects and schemes have been coming forward. Sustainable settlement extensions and possibly new settlements will also be required.